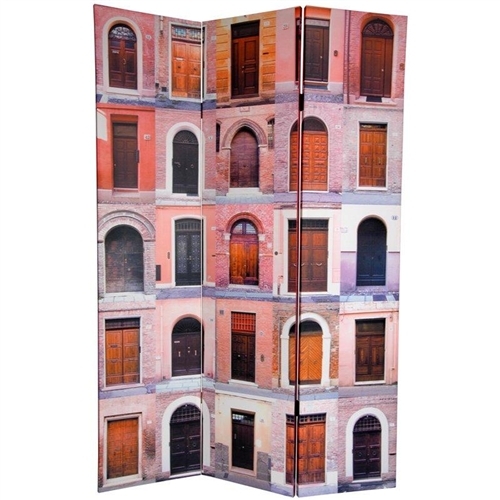 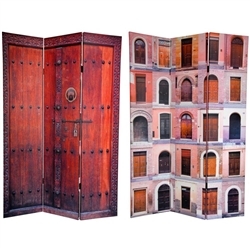 Be creative in how you define your space with this beautiful double sided photo of European style doors photographed with vibrant colors creating a dynamic collage of portals. 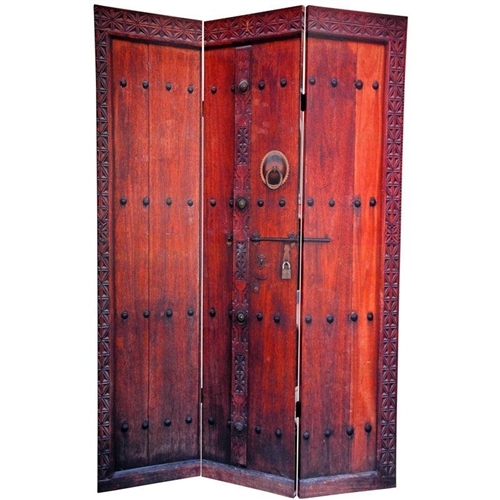 On the back is photo of an old rustic double courtyard door highlighting dark and light mahogany wood features. 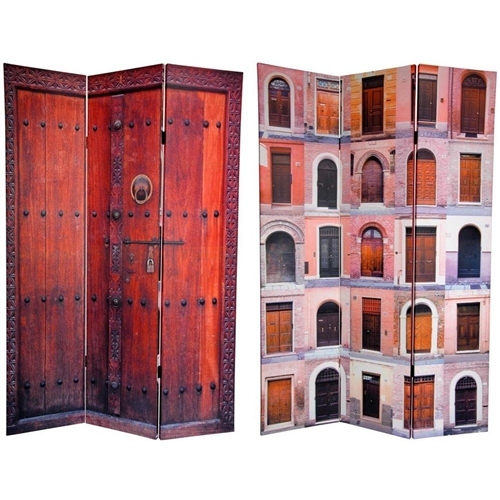 This is a very creative way to divide and accentuate one's space.